As the 9/11 Memorial Motorcycle Ride makes its way through the area later today, motorists can expect delays along the route as thousands of riders participate in the annual event to honor those who lost their lives during the terrorist attack in 2001 and the War on Terror. The riders head out from the Clinton Township Volunteer Fire Co., 2311 Route 54, Montgomery, at 6 p.m. According to South Williamsport Borough Police Chief Robert Hetner, the first of the riders should be entering the borough about 15 minutes later. Their route will take them along Route 15 North, or Hastings Street and then west on Southern Avenue, which is Route 654, to DuBoistown, where they will cross the Arch Street Bridge to West Third Street in Williamsport. Although traffic on the three bridges across the Susquehanna River at Market, Maynard and Arch streets, will have traffic disrupted, Hetner emphasized that there will be limited breaks in the motorcycles traffic to allow motorists to move through the intersections. He suggested that alternate routes be used for the time it takes for the motorcycles to proceed along the route. 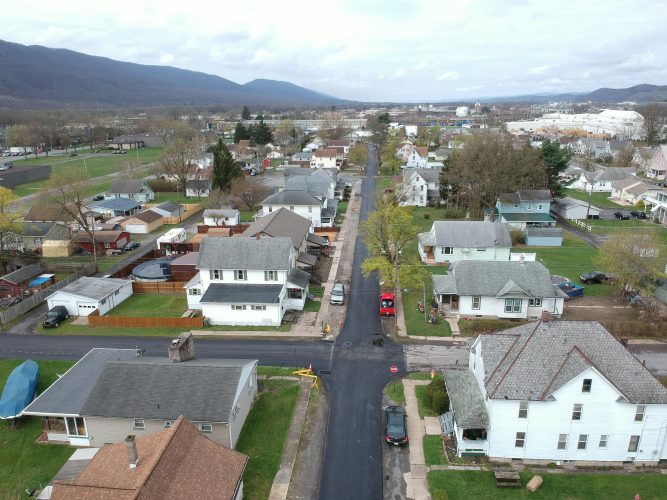 The stream of riders will pass through the city and Loyalsock Township on Third Street and then into Montoursville where they will proceed along Broad Street until it becomes Lycoming Mall Drive. From there the route goes to Route 220 north and into Hughesville Borough. According to Gail Kocher, Hughesville borough secretary, the fire department’s fire police will be at the intersection of Route 220 and Main Street where the riders will turn and proceed down that street until turning onto Route 405 to head into Muncy. Route 405, or Water Street in Muncy, will have limited cross traffic during the time it takes the motorcyclists to pass. Borough Manager Bill Ramsey said there will be breaks in the memorial ride, which will allow limited traffic movement in the area as the bikers head back through Montgomery to end at the Clinton Township Volunteer Fire Co. where they started. All boroughs contacted advised motorists to find alternate routes or be prepared to spend time waiting.